AEROBITINE™ was designed to reduce fatigue and promote energy, stamina, strength and endurance. Some of the ingredients have been shown to decrease the buildup of lactic acid or the “fatigue acids”. 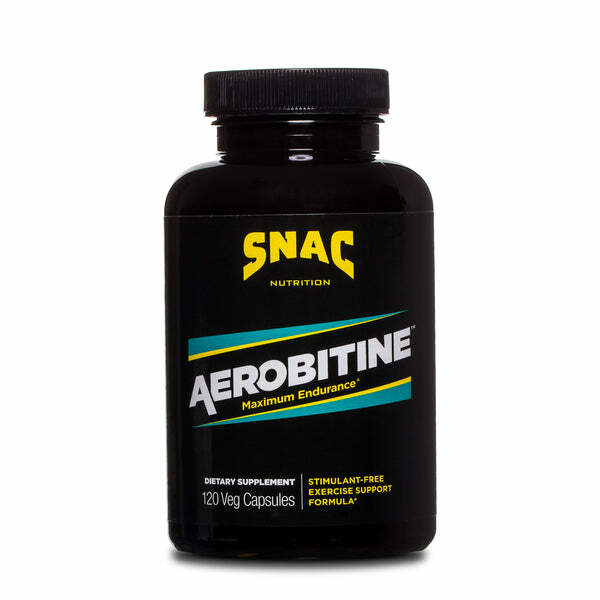 Aerobitine enhances aerobic exercise performance by increasing nitric oxide levels, which improves blood flow and circulation. This increases oxygen supply and nutrient delivery to working muscles and helps to remove metabolic waste by-products like lactic acid, carbon dioxide and ammonia. Aerobitine may also help to regulate blood sugar and promote fat loss by increasing glucose uptake by muscle cells, preventing fat cell deposition. The thermogenic absorption enhancer Bioperine® has been added to enhance the overall potency and effectiveness. Call the SNAC office at 1-800-697-2086 to request a free sample! A must in my life! I stack it with Vitalyze and Xpedite twice a day to get the max of my workouts and my day... it never disappoints! Thank You!! I take Aerobitine before working out and have done for years. A great stimulant-free pre-workout. Highly recommended. I combine aerobitine with Xpeditie. I always feel energized during my workouts. SNAC products are amazing!